On Friday, the legendary Muhammad Ali died at the age of 74. The three-time heavyweight champion and Olympic gold medalist was known as much for his outstanding skill and tenacity in the ring as he was for his activism and wit outside of it. He is one of the most quotable athletes and, arguably, the most inspiring. In fact, it's difficult to choose a standout statement since Ali offered so many gems — whether they were sharp-tongued attacks against his naysayers or the most defiantly energizing pep talk to pick you up when you think you're at your lowest. Ali's "Float like a butterfly, sting like a bee" may be his most iconic. The then-22-year-old boxer boasted he'd beat the bigger and (at the time) better known Sonny Liston — and he did, in seven rounds to earn his first heavyweight title. Impossible is just a word thrown around by small men who find it easier to live in the world they've been given than to explore the power they have to change it. Impossible is not a fact. It's an opinion. Impossible is potential. Impossible is temporary. Impossible is nothing. Ali also defied the impossible outside the ring. He was an outspoken critic of the Vietnam War, and he refused to serve when he was drafted in 1967. Because of his criticism, Ali was stripped of his title and barred from professional boxing until 1970. He was convicted of evading the draft, but in 1971, the U.S. Supreme Court overturned the guilty verdict in Clay v. United States (Ali was born Cassius Clay, Jr.). 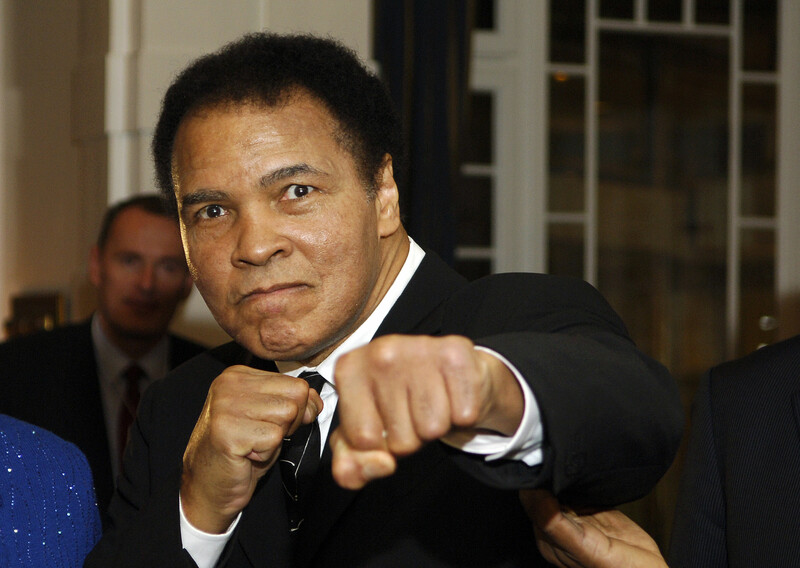 When Ali was diagnosed with Parkinson's disease in 1984 at the age of 42, he also continued to defy the impossible. He devoted much of the rest of his life to raising awareness and funds for the disease. “Selflessness and bravery — those are the two things he epitomized,” Leslie Chambers, CEO and President of the America Parkinson Disease Association, told the New York Daily News.